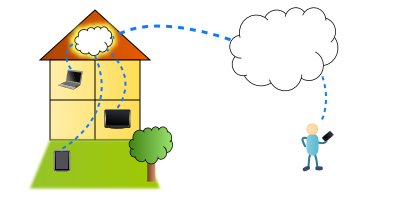 Apart from netbooks, tablets and smartphones another key target device for accessing Webian Home Server will be TVs.Â With big players having recently announced their entries into the smart TV space, this blog post explores their different approaches and the unique challenges of designing for the TV. Many companies have tried to combine web and TV experiences before, but it’s never really caught on. Google believes that their approach will be a success because they aren’t trying to re-create the web for the TV or make you choose between the web or TV, instead they want to give you access to the whole of the existing web and all the channels you already receive, as well as allowing you to install apps from the Android marketplace all from one device. 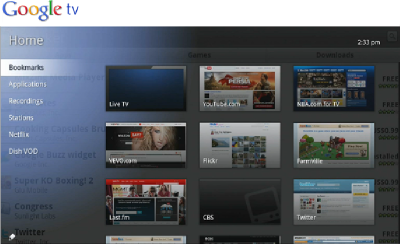 Google TV will allow all of this to be done via a 10ft interface with a remote control including a full QWERTY keyboard and pointing device. The software stack will include the Android operating system, Chrome browser, Flash and a new IP-based protocol to interface with DVR boxes allowing you search TV listings and schedule recordings. Rather than a releasing a single Google branded device, Google has defined a standard hardware and software platform which will be implemented by multiple device manufacturers. Among the first will be an HDTV and BluRay player from Sony and a set-top box from Logitech which are expected this autumn. Apple has recently announced the release of the latest generation ofÂ Apple TV which takes a very different approach to that of Google. The original version of Apple TV was released in 2006 but didn’t prove to be a huge success. In the keynote announcing the new version, Steve Jobs explained that Apple had learnt a lot from the customers who did buy the original set-top device and that this time they think they’ve cracked it. Apple’s observations were that consumers want premium HD content delivered to their TV, but they don’t want a “computer” on their TV or to have to manage storage on their TV or sync content with other devices. TheirÂ response is a new generation of Apple TV which is a smaller streaming-only device which streams content from other Apple products (iPod, iPhone, iPad or iMac) over the home network or from Apple’s partners over the Internet with a rental model. The new Apple TV is characteristically proprietary but well designed, with a slick custom UI for a closed list of tightly integrated online services.Â Apple has chosen a much simpler remote control with just a few buttons and opts for an interaction style much more familiar to TV users. Another smart TV option comes in the form of the Boxee Box from a small startup in the US. You can already download a beta of the Boxee software to your PC but with “Boxee Box”, D-Link has manufactured a piece of hardware dedicated to using Boxee on your TV which is available to pre-order now. The Boxee software has an interesting heritage (having been derived from the open source XBMC project) and has a great UI which is well suited to a 10ft interface. The remote control which comes with the D-Link device has a simple ordinary looking remote on one side, but you can flip it over to reveal a full QWERTY keyboard if you need it. Boxee is pretty rich on features, it will let you stream films, TV shows, music and photos in a large variety of formats over your home network and adds a social dimension by allowing you to share what media you’re viewing with your friends. 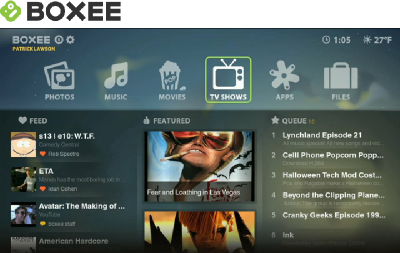 Boxee will also have a Webkit-based web browser built in and is extensible through the development of apps. 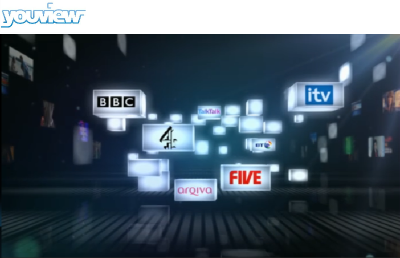 Whilst big and small tech companies in the US launch their entires into the TV space, big media companies in the UK have been collaborating to create a new platform called YouView. YouView is billed as a replacement for the popular free-to-view TV “FreeView” boxes currently popular on this side of the pond. YouView (previously codenamed Project Canvas) will provide the familiar digital TV channels but will also provide on-demand catch-up content from all of the major UK channels on your TV. YouView will also let you pause & rewind live TV, it will provide pay-TV options and will allow developers to create apps for the platform. The BBC’s heavy involvement in YouView isÂ controversialÂ with some other media companies who complain that the license fee funded corporation should not be using their resources to develop this platform which they argue damages competition for smaller players. Although the collaboration of so many large media and communications companies makes YouView a compelling choice in the UK, it doesn’t follow existing standards common in Europe and the rest of the world. 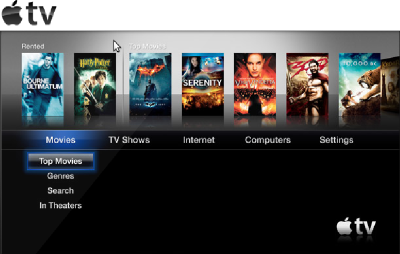 Currently YouView is publicly little more than a collection of technical documents available on the web, but the first devices are scheduled to be launched in Q1 2011 and are likely to make a big splash in the UK. The products described above seem to have caught the attention of the media and blogosphere recently, but there are of course many other options out there. Other big players in this space include Microsoft’s olderÂ Zune and Mediaroom platforms for the XBox 360 games console and set-top boxes respectively and Samsung’s own app platform for their high end TVs. There are also many open source projects like MythTV which provide a geekier way to create your own smart DVR. The four different products described here take quite different approaches to the smart TV problem but also have similarities. I very much support Google’s open approach but they could learn a thing or two from Apple’s user experience, I’m really not sure a QWERTY keyboard and pointing device is going to catch on in the living room – the TV is not a PC. Boxee provides a compelling alternative but their app platform may struggle faced with competition from Android and others. YouView will be difficult to ignore in the UK but it provides yet another platform to develop apps for. One thing all four have in common is the ideaÂ that the TV is for streaming content from other sources, not as the media centre for the home. The smart TV solutions presented here allow you to stream media from the Internet or from other devices like PCs, tablets and smartphones on the home network to your TV – but there is no central store for your whole media collection which can be accessed 24/7 by all of these devices. If there was such a centralised media store then creating an app for every smart TV platform, mobile platform and tablet platform in order to access that media would seem impractical. The common denominator among all of these devices (with the exception of Apple TV which currently offers no opportunities for third party development) is the web, specifically HTML5. A single HTML5 web application hosted in the home could allow access to your entire media collection 24/7 from all of these devices. The challenge for such web applications will be to create a user interface which works well on such a range of form-factors – from a small multi-touch smartphone through to the 10ft interface of a smart TV with a simple remote control. This will require a new breed of applications which can be controlled in a variety of ways and can adapt to a range of different screen sizes.Â Some examples of these experimental new types of web applications areÂ YouTube Leanback,Â Google Reader Play andÂ Clicker but it’s likely to take a long while for best practices to emerge. With approximately 1 billion PC users, 2 billion mobile users and 4 billion TV users worldwide – web applications with the potential to support all of these devices would seem very compelling indeed! This is why the Webian project will strive to create a graphical web interface which provides an enjoyable user experience across all of these form factors. What is a Web App?